Home / Celebrities / Sportswomen / 2016 Olympic Champion Brianna Rollins Introduces Us To A Day In Her Life! Brianna Rollins is an American track and field athlete, who specializes in the 100 metres hurdles. Her time of 12.26 is tied as the fourth-fastest run in history. She is the 2013 World champion and the 2016 Olympic champion in the 100 meter hurdles. 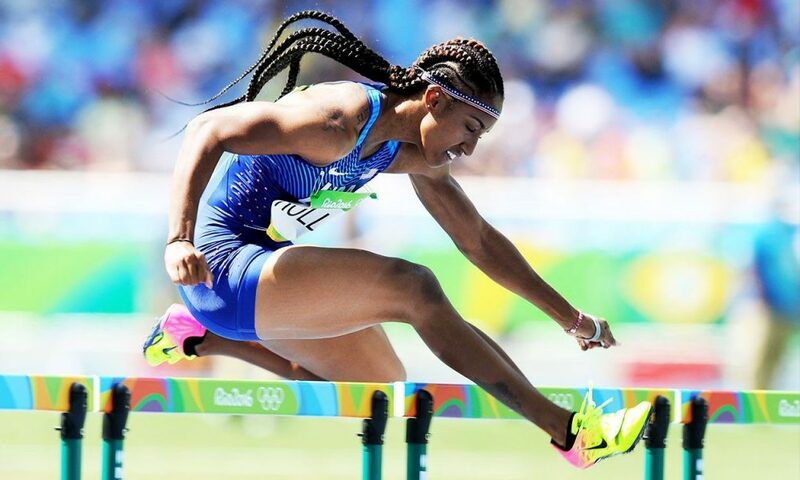 Olympic Champion Brianna Rollins shares her spectacular journey into the world of athletics, in an exclusive interview with Namita Nayyar, President Women Fitness. You are known as one of the best American track and field athletes, being the 2013 World champion and the 2016 Olympic champion in the 100 meter hurdles. Walk us through your spectacular journey and tell us how it all began? I started running track when I was 14 yrs old. It was my freshman year of high school I had no idea what I was getting myself into I just knew I wanted to do it. I had no clue about any of the events that were ran in track all I knew is I wanted to run. So I started off racing in the 400 and the 200, dabbled in the triple jump, but it was until I was watching one of my high school teammates hurdle and right then I decided that I wanted to be a hurdler. The 100 hurdles didn’t come as easy for me until my sophomore year, I was a 300 hurdler first but that changed in college. I was recruited specifically for the 400 hurdles but injuries prevented me to get fit for the event. The 100 hurdles was my destiny. After overcoming the injuries I finally blossomed into the 100 hurdler I knew I could be once I took it seriously. Since then I have been blessed with the opportunity to travel the world and do what I love.